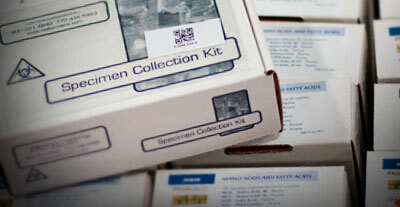 GBF Medical is one of the first and largest specimen collection kit manufacturers and distributors. Our business began by offering better outsourcing solutions for specimen transport, diagnostic packaging and various screening kits to drug testing laboratories. Today, we manage the entire specimen collection kit packaging and replenishment process for both private and public laboratories. Additionally, we provide repackaging and re-labeling services to pharmaceutical companies that serve both the human and animal markets. From kit design to complete diagnostic, clinical and drug collection kits as well as providing site, test or patient specific forms, diagnostic kit inserts, and up-to-date instruction sheets, GBF excels where other outsourcers fail. We are adept at managing high volume orders and at a much lower cost than our competitors. Our 220,000 square-foot facility houses a mixture of custom, semi-automated and fully automated production lines. 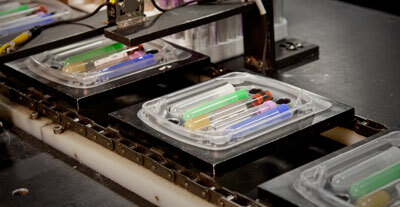 The facility offers temperature controlled manufacturing and storage for your kits and supplies. We employ a full-time staff of engineers to ensure quality and efficiency of existing lines, and design and build new ones. For both large and small volume needs alike, GBF is more cost-efficient than using an in-house group to handle all aspects of collection kit packaging and specimen transport. We focus on eliminating concerns regarding available materials, quality and on-time delivery so you can focus on what your business does best.